Some traditions bear a greater resemblance to fads, here today and gone tomorrow. Yet, others are timeless, somehow etched into the fabric of civilization. Since the dawn of time, older generations have held a place of esteem within the community, not only for their vast knowledge and sage advice, but as a guiding force, taking succeeding generations under their wings and guiding them into maturity. It is disheartening to see the waning of this generational prestige in many western cultures, an abandonment of the elderly by those decades their junior and an almost reciprocated scorn for youth. But, every so often we still see a comforting mergence of old and young, a bridging of the generational gap as has been so prevalent since our ancestors of old. These two, grandfather and grandson, were a heartwarming tale of just how far love and admiration can go in overcoming the invisible gap of time. 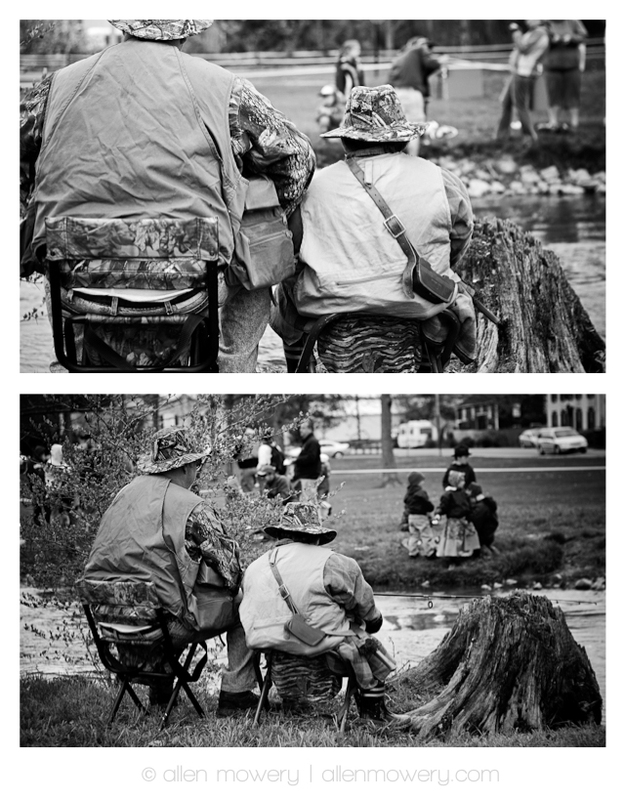 Both with their matching fishing vests, identical hats, and boots, sitting along the banks of a local stream taking in a favorite pastime brought a smile to my face and reassured me that the bond is still alive.